It has been a very busy time here these last few months......I have started making my own natural bodycare products and I am hooked! Not only that, but I knew exactly what ingredients were going into my creations......no 'nasties', no chemicals, no parabens. 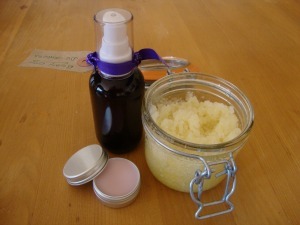 I used ylang ylang essential oil in one of my recipes and it reminded me how much I love it and how versatile it is. I used it in my body oil because it is great for the skin, both oily and dry......it helps balance the production of sebum. The sensual and exotic aroma is fabulous, conjuring up romance and passion. It is both calming and euphoric, and helps relieve negative emotions such as anger, frustration and rage. 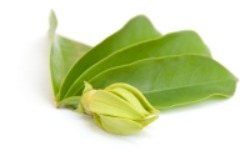 Find out more about ylang ylang essential oil here. I use it a lot in massage, because it is so softening and moisturising and is also suitable for most skin types. It contains natural Vitamin E, and is believed to help delay the signs of ageing (and that's good enough for me straightaway!) It renews skin cells and helps revitalise your skin.....giving you a lovely glow. It's great for reducing dark circles and relieving tired, puffy eyes. 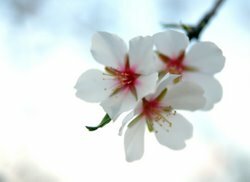 Discover more benefits and uses of sweet almond oil here.